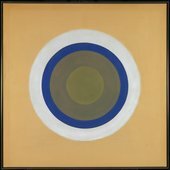 Kenneth Noland (April 10, 1924 – January 5, 2010) was an American painter. 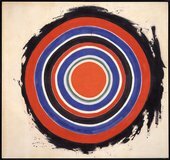 He was one of the best-known American Color Field painters, although in the 1950s he was thought of as an abstract expressionist and in the early 1960s he was thought of as a minimalist painter. Noland helped establish the Washington Color School movement. 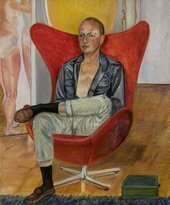 In 1977, he was honored by a major retrospective at the Solomon R. Guggenheim Museum in New York that then traveled to the Hirshhorn Museum and Sculpture Garden in Washington, D.C. and Ohio's Toledo Museum of Art in 1978. 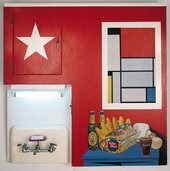 In 2006, Noland's Stripe Paintings were exhibited at the Tate in London.